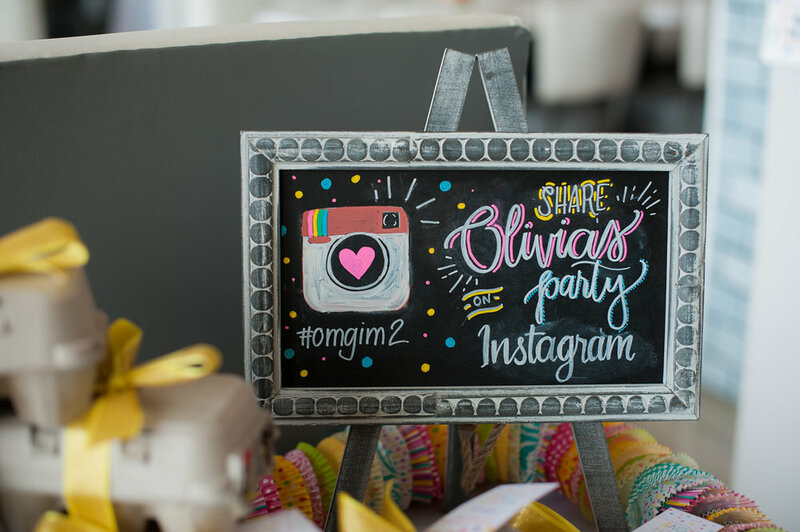 This summer Olivia turned two. 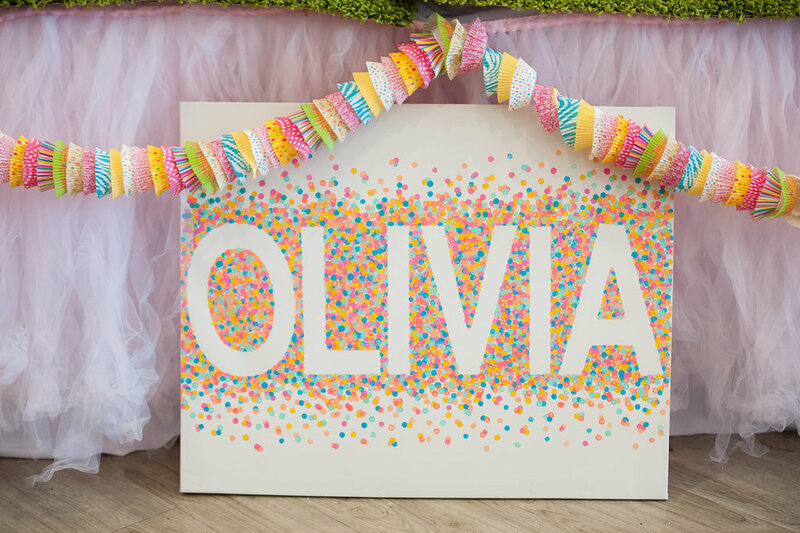 Olivia is such a bright little one that just lights up our lives everyday. She is so fun, brave, spunky at times, adorable and playful. Her smile just melts my heart and her mood is infectious. Snuggling with her in her bed and playing in her kitchen are just some of my favorite things I love doing with her but most of all, I love watching her talk about pirates, Legos and sharks with her Ninong Ed. Coming from a family where I love yous where not thrown around very frequently, I make sure to tell her every time I see her that I love her. Hearing her say "love you too or I love you" just makes my grateful heart smile. Back to her birthday party, we decided to celebrate Olivia's 2nd at Chubby Cheek Café in Rowland Heights. 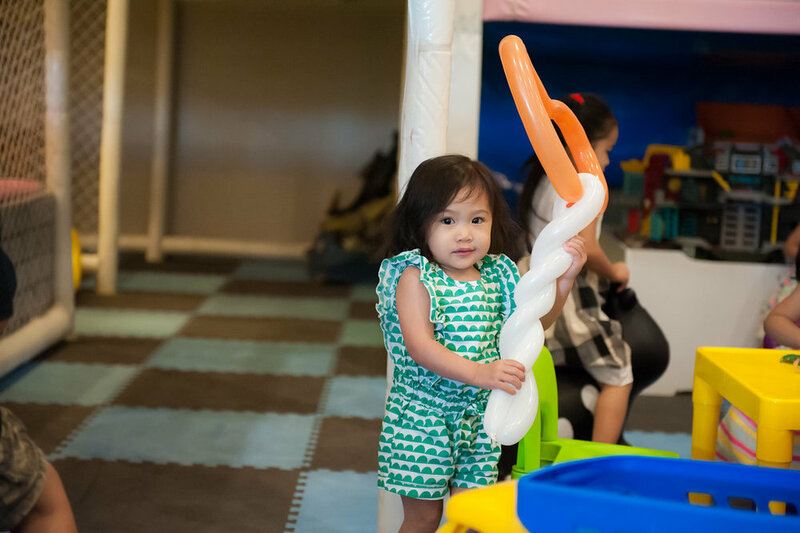 Chubby Cheek is a modern café & playground that is a perfect venue for parties like such since they have an indoor play area for the little ones and yummy food for everyone to enjoy. 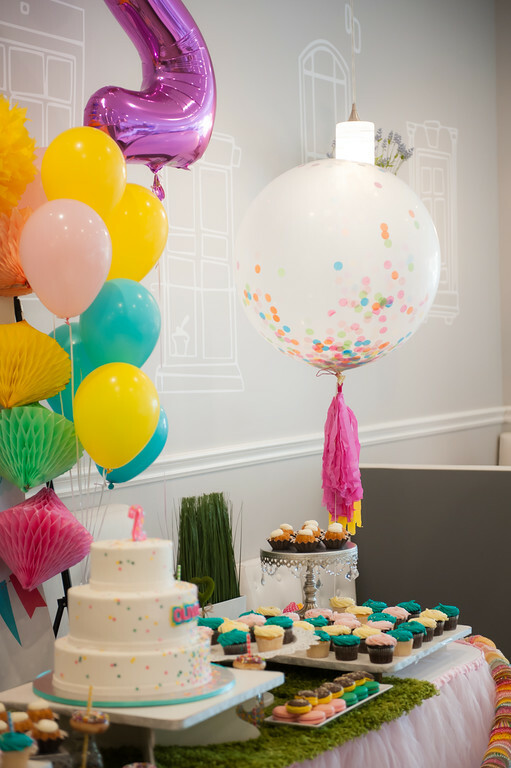 - the colorful and scrumptious dessert table that included her birthday cake and cupcakes from Cakes by Tricia Faye, mini bundt cakes from Nothing Bundt Cakes, mini donuts from Krispy Kreme and French macarons from PM Macarons.